There was a surge for US crude Friday with prices gaining almost 13 per cent on reports of potential OPEC talks and US retail data. Despite the gains the price ended the session below $30 and has suffered large losses this week. Banks and energy stocks helped the main index of the Toronto Stock Exchange close more than 2.4 per cent higher. Wall Street also gained with a 2 per cent gain for Dow and gains that were not far behind for the S&P and Nasdaq. Asian markets had closed lower earlier in the day with Shanghai set to re-open Monday. European indexes closed broadly higher with gains of around 3 per cent. The Canadian economy is doing better than some media reports suggest and that creates a negative cycle among consumers and businesses. That was the message from the chief executive of the Bank of Nova Scotia speaking to the Canadian Club of Toronto Friday. Brian Porter said that there is a disconnect between financial markets and the economy and turbulence in the markets does not necessarily mean weakness in the economy. He said that businesses are still hiring and investing. The services sector is ready to live in the post-oil economy whereas manufacturing is not. 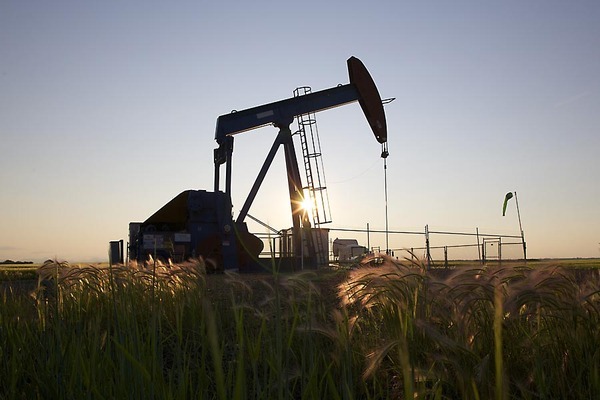 The Conference Board of Canada has considered which industries are the winners and losers of lower oil prices and a lower Canadian dollar. Manufacturing needs to invest in facilities and workers in order to grow but some may fall behind according to the report. Services such as financial and insurance, IT and transport should thrive. Canaccord is cutting 7 per cent of its workforce, 125 people in Canada, UK and US, as the volatile markets make an impact. The brokerage has written down $321 million of the value of its capital assets division and posted a loss for the third quarter of 2015 of $346 million. For the fourth quarter revenue was up 9 per cent but costs also rose, by a larger amount.